Any beauty gal worth half her salt reads Allure. It's just what you do to stay on top of the beauty trends. And I feel extremely fortunate to bring you an exclusive interview this week with Allure Beauty Director Amy Keller Laird! If you're curious about her favorite mascara, how she got started in the business and even her favorite TV show (it may surprise you! ), keep on reading. I’m a Midwesterner by birth -- born and raised in Columbia, Missouri, and also went to journalism school there. It was the first journalism school in the country, and it’s still one of the only ones to publish a community newspaper and magazine and have its own radio station. I wish I could say that I was came out of the womb playing with makeup -- it would make a better story. But the truth is, I didn’t really know beauty editors existed until I moved to New York. My first job in the city was as a copy editor at Redbook, and those skills -- especially the attention to detail that’s involved -- have always served me well. Like most beauty editors I know, I fell into the beauty department. The beauty editor at the time liked the comments I wrote on her pages when I was a copy editor, so when she had an open spot in her department, she brought me in. What is the most fun part about being the Beauty Director at Allure? Getting to see one of your ideas -- something that starts out as a couple of sentences on a piece of paper -- turn into gorgeous photographs, with looks created by top hair and makeup people, is always a thrill. I still love seeing new launches (especially when Allure gets them exclusively!) -- just when you think there’s no new product idea out there, a company comes up with something revolutionary. And I’ve always been interested in the science of skincare. The beauty world can get a bad rap as being completely superficial -- and obviously there are parts of it that are -- but there is so much technology and science now behind anti-aging creams, and products that protect the health of your skin, such as sunscreen and antioxidants. How do you come up with your ideas and decide what to write about? We often look to the trends created on the runways for hair and makeup ideas. We’re always in contact with dermatologists and cosmetic chemists about skincare news. And of course new studies and product innovations inspire stories. But sometimes it’s just about thinking: What do women care about in beauty now? How are the economy/pop culture/the news influencing how women are thinking about beauty, and what would they want to know about at this point in time? What have been some of the highlights in your career? 1) Appearing on national TV for the first time -- and getting random e-mails about it from old friends you haven’t talked to in years -- is always fun. 2) Meeting Patrick Dempsey for his fragrance launch wasn’t so bad, either. 3) More recently, for the past two years, Allure has won the Fifi Award for best fragrance feature -- it’s always exciting when an outside group recognizes a story you helped create and edit. 1) L’Oréal Professionnel Infinium Hairspray 2: I hadn’t used hairspray in years until this came out. You can use it to hold an updo or add texture and volume to your hair when it’s down. You can spray and spray, and it doesn’t turn your hair crunchy. 2) MAKE UP FOR EVER HD Microfinish Powder HD Microfinish Powder: This translucent formula covers shine but doesn’t leave your skin looking chalky. I was a pressed powder girl until this came out -- it converted me to loose powder. 3) A plastic-bristle mascara: The plastic-bristle thing was such a great moment for mascara. You just don’t get clumps with them. There are so many good ones, but I do love Maybelline New York Define-A-Lash, which also gives lashes a glossy finish. 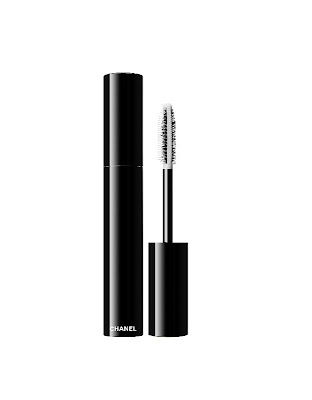 I’m also a fan of Chanel Exceptionnel de Chanel mascara, which has a mix of traditional and plastic bristles. 4) Cream blush: It gives such a pretty glow. It’s that lit-from-within effect you always hear makeup artists talking about. My favorite formula right now is from Lancôme. 5) A good conditioner: This past year I dyed my coffee-brown hair blonde and got pregnant -- and the combination wasn’t exactly kind to my waves. So I don’t mess around with conditioners; I need something that cuts through the tangles. My latest discovery is Shu Uemura Moisture Velvet Nourishing Conditioner. It’s not so thick that your hair becomes lank and heavy, but it does the job really well. I also love Molton Brown Haircondition & Detangler -- it’s a spray-on formula that allows you to finger-comb through the tangles without ripping out strands along the way. 6) Urban Decay 24/7 Glide-On Eye Pencil: Can I give a sixth product? [Editor's note: Of course you can, Amy!] The black shade of this pencil is perfect for lining the inner rims of your lashes, which I find one of the best ways to define your eyes when you don’t want a super-smoky or smudgy look. The name is spot-on: It has a smooth tip that really does glide over your skin without tugging, and it stays on all day without budging or flaking. Being a Beauty Director must be amazing! But what do you do for fun when you're not testing out the latest and greatest beauty products? Well, I’m due with my first baby on July 21, so fun right now is sitting on the couch with my feet up, the fan blowing, a (caffeine-free!) root beer in hand, and an episode of Friday Night Lights or Days of Our Lives (yes, I’ve been addicted for years) on the TV.